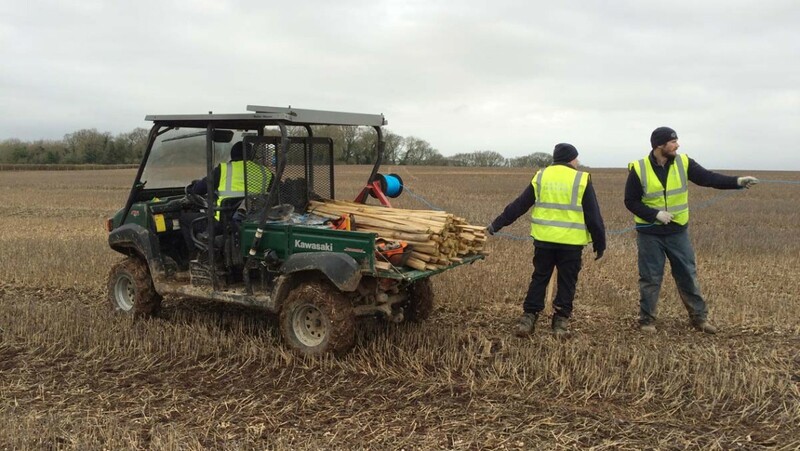 Working alongside Clancy Docwra and in conjunction with Wessex Water, Twig were tasked with the installation of 7km of demarcation fencing as well as 1km of stock fencing with gated crossing points. These points proved essential for farming access as the fencing was installed through both arable and livestock fields. Sections of vegetation and hedgerows were also cleared well in advance to ensure that bird nesting would not be affected. This fencing paves the way for a new water pipeline to run from Camphill to Earlsdown, running alongside Boscombe Down Airbase. On completion of the project Twig will reinstate hedgerows with native species.